Hey folks, Valkor here. I'm an admitted Sega Fanboy. 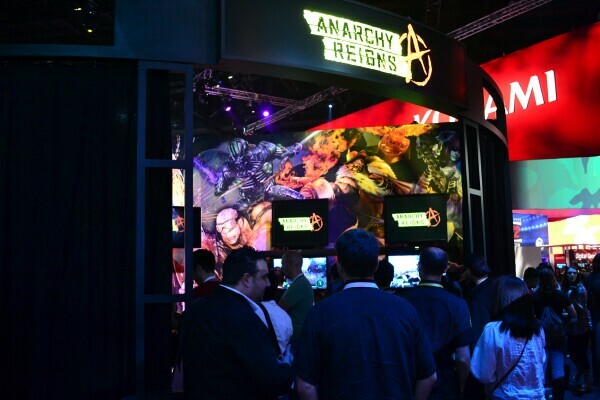 And for the past two E3s that I attended, I have spent a great amount of time at their booth, checking out their latest titles and basking in the glow of such a great company. 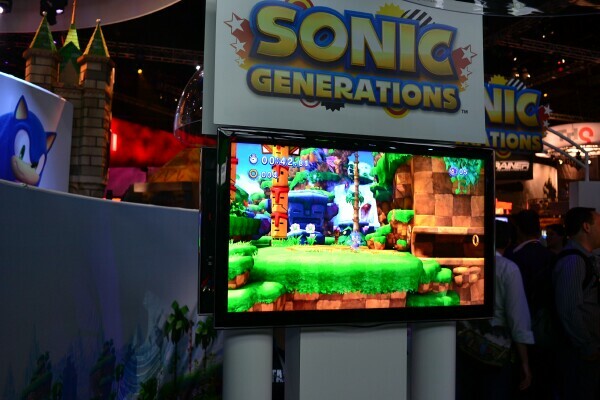 At E3 2011, I knew I HAD to get to Sega's booth, especially since the announcements of Sonic Generations? Are you kidding!? Me a certified Sonic nut? I was all over it! And not only did I get some hands on with the game, but also another hot title, And I'm tossing in some gameplay footage of both as well as vids from the Sonic Boom party I attended. Check it out! 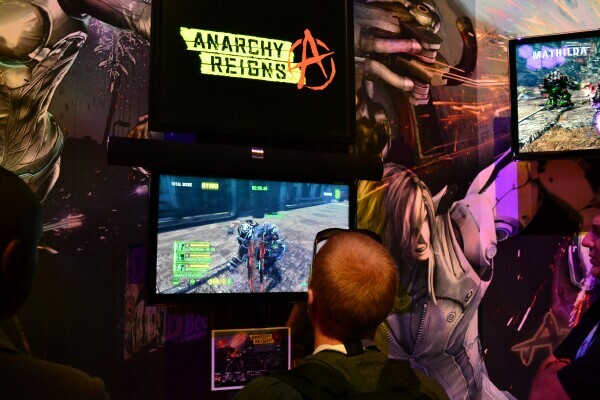 Anarchy Reigns – From Platinum Games, Anarchy Reigns is a multiplayer, third person brawler with a single player aspect to it. You have eight different players to choose from, each with their own moves. Once chosen, you're dropped into the heart of battle and it's on. For my first hands on with the game, I chose cybernetic ninja Zero. The controls definitely take some getting used to and the action is quite frantic as it almost made me dizzy just trying to keep up – and I mean this as a positive! Because once I got my stride, I was tearing up the bad guys something fierce – literally! Blue goo was everywhere! There's also plenty of room to cause environmental damage as well as use some of the backdrop as weapons. I honestly didn't feel the need for it since my character had a plethora of moves at his disposal. I didn't run into any serious kinks with the game and I can't wait to try out a more polished demo. 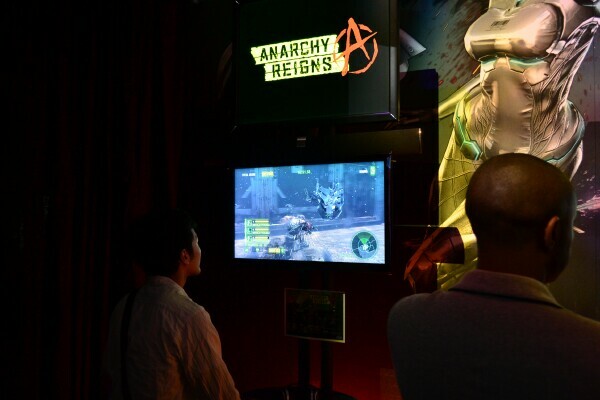 But overall, I'm feelin Anarchy Reigns. Sonic Generations – The moment I was waiting for! Sonic is back… again! And this round it's old meets new! In this 20th anniversary title, you'll play as modern day as well as classic Sonic the Hedgehog, through levels inspired from the classic series, with a modern day twist. Let's delve into that a bit shall we. There was only one level playable and that's the Green Hill Zone, which looks amazing with its eye-popping graphics! First round I went in as Classic Sonic, who plays as classic Sonic should. All he can do is hop, bop, and dash on a 2D plane (with some 2.5D elements tossed in). Next round was as modern Sonic – think Sonic Colors in a more vibrant setting, with 2D and 3D backdrops. Modern Sonic has more moves at his disposal including his ability to lock-on targets, dash attack, and ride rails. Given the limitations of Classic Sonic, it's difficult to go back to him, considering how much fun playing as Modern Sonic is. You can't switch between the two during play; you have to choose before you start. Oh and before I forget, the dash attack can be accomplished two ways now, one of course is to have sonic bend down and press a button, but this time around you can also press a button and BOOM (or should I say Sonic Boom lulz). But let me just say this, let Classic Sonic be Classic in look alone and give him the lock-on feature! My chubby buddy deserves that much! And as promised, here's some vid from the Sonic Boom party, where Sega and fans celebrated Sonic's 20 years of existence. I can't believe it's been 20 years. Yes there's been some good and some bad, but I remain a fan through and through. 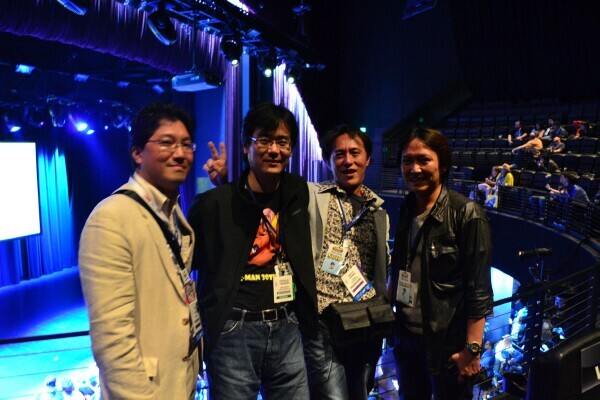 Also on hand for the event was Yuji Naka, whom I was able to snap a pic of him and his cohorts, as well as Jun Senoue belting out the hits. A great time was had by all and I can't wait to see more of the Generation title. Oh and before I forget, Happy Birthday Sonic. You're one cool cat… er… hedgehog.